Here’s to Spring season and I kick off spring with a Berry Banana Smoothie! 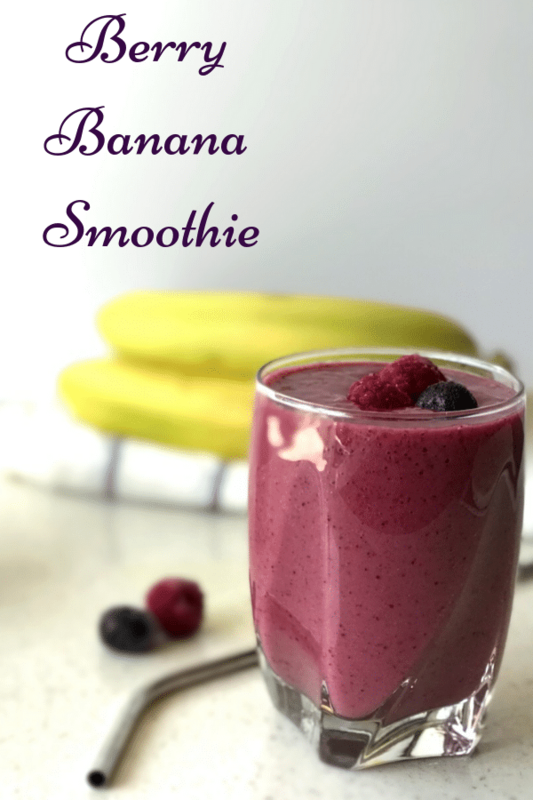 I am a big fan of berry banana smoothie and that’s what’s for breakfast, almost every day although I try different combinations every week or so. 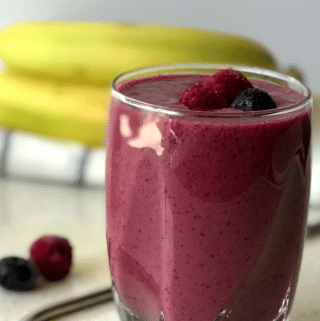 One of the versions is this Berry Banana Smoothie that combines a powerful pack of antioxidants, carbs, and protein in one-pint glass serving. As frequent as I prepare smoothies, I am surprised that I have never posted the recipe in my blog! I did not realize it until a few days ago when one of my friends approached me requesting a smoothie recipe. So here’s one version to begin with. Over the summer, I plan to share different ideas for smoothies and some exciting variations on them. 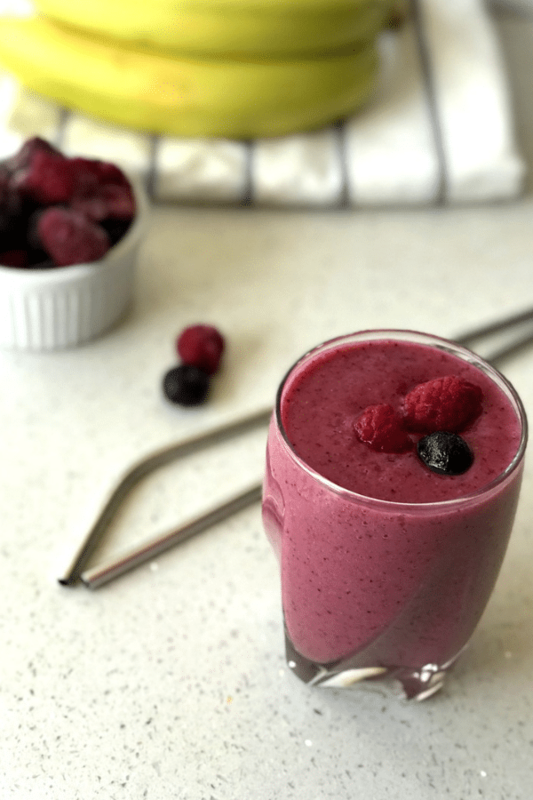 Spring and Summer are great seasons to enjoy fruits and there is no better time to try this Berry Banana Smoothie today! I have also shared some ideas to make your smoothie a little thicker if you prefer so. Are Berry Banana Smoothies Healthy? What makes Smoothies healthy is the way it is prepared. Like choosing a frozen banana over ice cream will make a huge difference in total fat content and in calories. Berry smoothies are healthy if you choose right ingredients like dairy-free milk, sugar-free, or if you choose a coconut water base. For more information check out his article here. The calorie count in many smoothies comes under 200 and this Berry banana smoothie is no exception. With frozen mixed berries (Blueberry, Raspberry and Blackberry), Bananas and a plant-based milk base, it has about 100 calories. Can you use water in a smoothie? The answer is “yes”! I have used water many times, instead of plant-based milk, or dairy-free yogurt. Water obviously makes it thinner and easier to drink, but you have to add it in moderation based on how many bananas you add. If you like a thick consistency in a smoothie, you can use a little more variation like adding avocados and mangoes. Adding nuts, seeds and grain are another way to make it thicker and heavier without compromising on the nutrition. 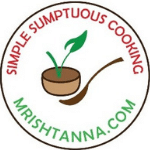 use right kind of fruits like banana or avocados, mangoes. This fruit makes a dense and creamy texture. Using strawberries instead of a triple berry mix is another variation you can try. If this recipe interests you, try it and comment, rate the recipe below. If you enjoy berries like I do try myTriple Berry Chocolate Cups. 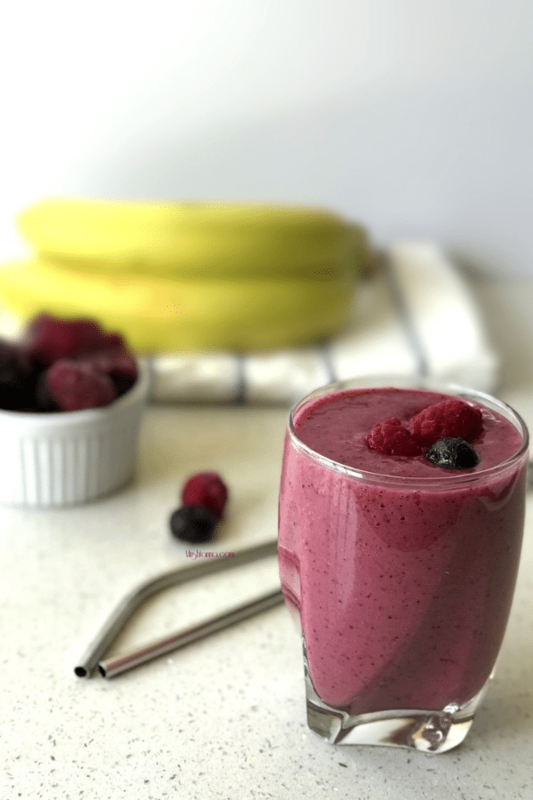 Berry Banana Smoothie that combines a powerful pack of antioxidants, carbs, and protein in one-pint glass serving. Blend all the ingredients together to a smooth consistency!